I finished my Quilt Camp Poinsettia Pillow last week! 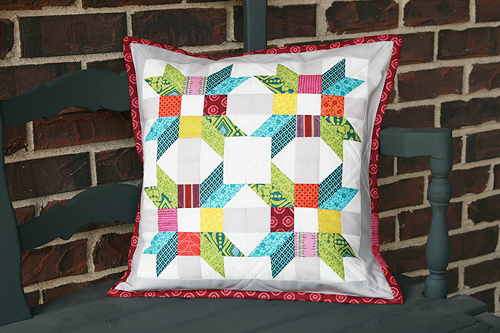 This pillow (or mini quilt if you'd like) is the project I'm teaching at Quilt Camp in December. The individual block is a design by Nancy Cabot (1937) called Miller's Daughter. 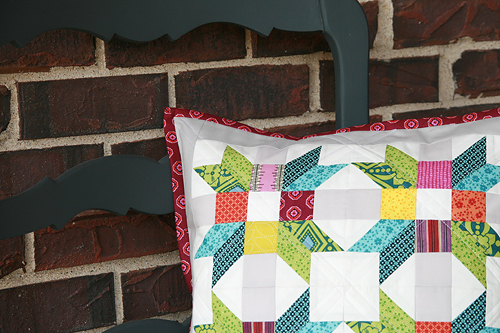 I shrunk the block down in size, pieced 4 and added a border to make an 18" pillow. I quilted this pillow with straight lines, 1/4" on each side of the diagonal seams (and beyond into the sashing). The fabric is mostly Denyse Schmidt's latest line Chicopee which I'm officially in love with. I also worked in a bit of her lines for JoAnns Fabric and a print from Anna Maria Horner's discontinued line Good Folks. (I needed some green.) The neutrals are Art Gallery Fabrics Linen White and Free Spirit Design Solid Sand Dune. The back of the pillow is a simple envelope enclosure. 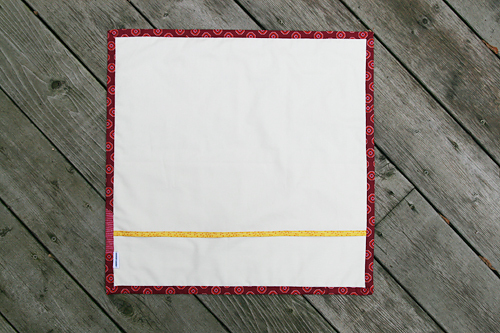 I bound my pillow just like I would a quilt, so I can either use it on my couch, or hang it on my wall as a mini quilt. 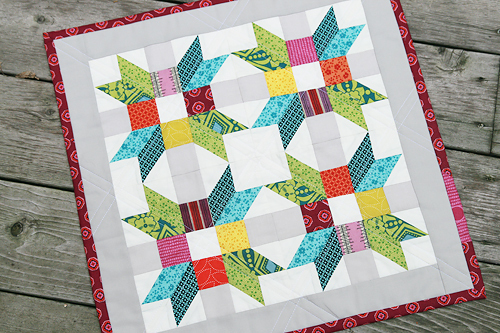 At my class in Quilt Camp, we will work on paper piecing the corners of each of these blocks and then piecing together the rest of the block. 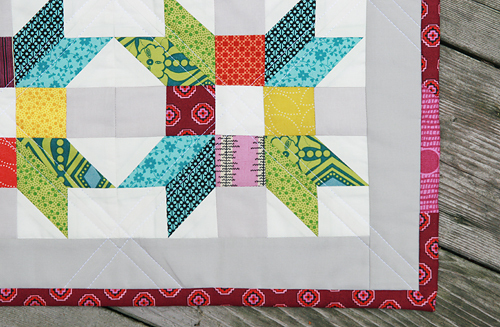 It is a great project for those that are new to paper piecing and/or want tips on precision piecing and getting everything to line up just right. There are still some spaces left for Quilt Camp. Check out my post from a few days ago for all the details and the link to sign up!